In the state of Arizona, anyone who seeks employment to work with a vulnerable population or in a place of trust must gain security clearance first. Vulnerable populations may include children, the elderly, persons with physical or mental disabilities, or low income families. Jobs that may require security clearance can range in skill level and include family nonprofits, realtors, contractors, teachers, nursing, social workers, case managers, child care workers, psychiatric technicians, job coaches, and more. If you have been convicted of any crime, even if it is a misdemeanor, you may be denied a fingerprint clearance card and could lose your job. Bretton Barber is a Phoenix based attorney who can often help those with a past conviction obtain a clear fingerprint card. Contact our office today to speak with a lawyer. 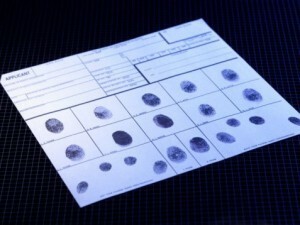 If you are applying to work with a vulnerable population then you will likely be required to get fingerprinted. When you are fingerprinted for a fingerprint clearance card then the Arizona Department of Public Safety (DPS) conducts a background check to search for any arrest record in your history. If you have been arrested for any offense that would disqualify you for a job, DPS then looks for the disposition, or final result, of your case. If a conviction exists or if DPS is not able to find the disposition then they will deny your clearance card. If your card has been denied because you have a conviction on your record then you may still be able to gain fingerprint clearance. DPS allows applicants to file a good cause exception petition which asks the Board of Fingerprinting to clear them for employment despite their background. Offenses that may be eligible for a good cause exception may include disorderly conduct offenses, certain gun crimes, certain drug crimes, theft, domestic violence offenses, assault, and others. But the burden is on the applicant to prove that they deserve to be cleared. Bretton Barber is able to help job applicants with the good exception application process. Bretton will assist the applicant in completing the initial application as well as gathering all necessary documents including letters of reference, proof of sentencing requirement completion, disposition information, any relevant CPS or APS reports, and an explanation of why you deserve to be cleared. Bretton will ensure all documentation is filed properly and will make the strongest written argument possible to explain why your application proves that you have been rehabilitated and deserve to work. In addition to Phoenix, our attorney represents defendants in other Maricopa County cities such as Mesa, Glendale, Scottsdale, Chandler, and Gilbert. We also assist Pima County residents in Tucson as well as others throughout the state. There are times in which DPS incorrectly denies a person a fingerprint clearance card. While the agencies that conduct background checks make every effort to obtain the correct disposition information, sometimes they are not able to find out what happened after an arrest, and automatically deny clearance. If the charges made against you were dismissed, then you may appeal the denial and receive your clearance card. Bretton Barber assists those who have been wrongly denied their fingerprint clearance cards with the appeals process for a reasonable fee. Do not let a wrongful denial prevent you from working in the career you love. Contact our office today.